These Restaurants In Gardens Galleria Are Worth Checking Out! Mall of India may be on everyone’s mind, but there’s another mall that’s just opened up bang opposite it that deserves an equal amount of our attention; Gardens Galleria in the once-beloved GIP complex. Here’s why we’re planning a trip here soon. With the option of outdoor seating and pop, orange decor, we can’t wait to sample the Mediterranean and Italian spread on offer here. With rooftop seating as a major attraction, we love the elaborate drinks menu that The Smoke Factory has on display. Also, rumour has it that their chicken biryani is definitely worth trying. 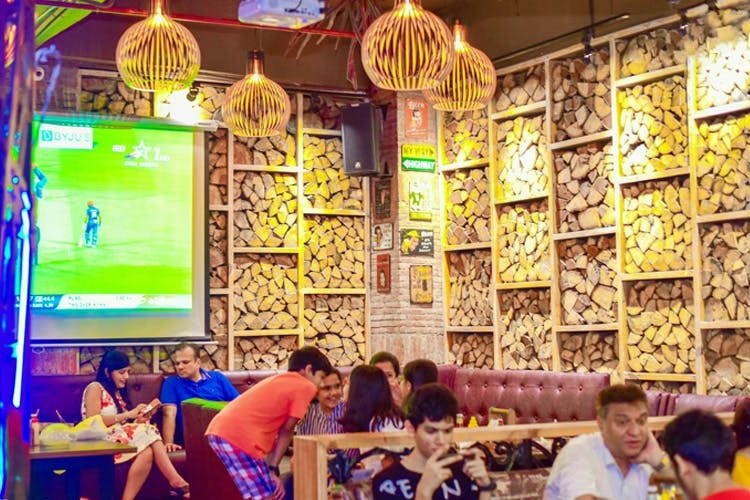 Wing-Ding (the erstwhile Turquoise Cottage) is an old haunt for Delhites and it recently opened its doors in Noida. We’re bookmarking this one for our Friday evening get-togethers. Noida has got its very own outlet of this classic Hauz Khas eatery, and we can’t wait to lay our hands on their scrumptious Mediterranean fare.